Trek This is a unique 4-days trek of the Kathmandu Valley, hiking the lush landscape of the Shivapuri National Park. Walk through dense forests of oak, pine, and rhododendron. Watch the sunrise over Nagarkot, marvel at the terraces en route to the Dhulikhel , sleep in lodge or mountain teahouse accommodation, and get the most breathtaking vista of the Himalayas, stretching from Dhaulagiri past Everest to Kanchenjunga. 1. Kathmandu-Sundarijal and Dhulikhel-Kathmandu by Private Vehicle. 2. All the meals (breakfast,lunch,dinner) tea/coffee . 3. 1 Night Lodge accommodation in Chisapani. 4. One professional government certificate holder trekking guide. 5. Trekking guide: Salary, Foods, Insurance, transportation, Accommodation etc. 7. Shivapuri National park fee. • All the drinks such as coke, beer, mineral water etc. • Tips for hiking guide . Drive from Kathmandu to Sundarijal for one hour. Trek from Sundarijal to Chisapani (2300m.) it is 4 / 5 hours hiking to Chisapani And then overnight at Lodge. 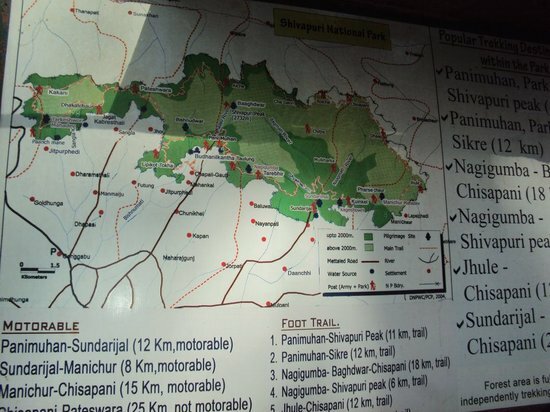 Hiking from Chisapani to Nagarkot takes about 7 /8 hours walking. We start from Chauki Bhanjyang, you continue the charming trails leading towards Nagarkot (2175 m) and then overnight at Hotel. After nice mountains view and sunrise,we start hiking from Nagarkot to Dhulikhel takes six hours. Dhulikhel, a glut of cultural diversities, traditional practices, lush vegetation and rich bird life unfolds before you. Dhulikhel (1440m.) is a small town of Newari with a long history. stay overnight .